Jasmin is available to speak in your community! Book Jasmin for an event! Jasmin’s team is currently securing book readings and signings in other cities throughout the United States (and beyond), so check back often, and be sure to let us know if you’d like to book Jasmin for an event! Where: Address will be provided upon registration. Time: Check here for updates! Time: Check VegFest site for speaker times! Time: Check Valley VegFest for speaker times! What: Dinner with Our Hen House’s Jasmin Singer! What: Jasmin’s LA book launch! 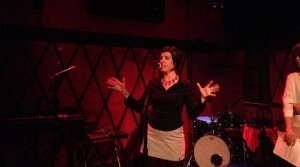 What: Jasmin’s NYC book launch! "I had the privilege of having​ ​Jasmin​ ​speak at a fundraising event I hosted, and she blew everyone in the audience away. She​ ​speaks with passion, humor, and conviction about issues that affect animals, humans, and our​ ​planet. By the end of her speech, people were looking to their neighbors​ ​and​ ​saying​,​ '​W​ow,​ ​ok,I could do that​.​' She​ ​makes​ ​her audience​ ​feel like​ ​they​ ​can make a difference​.​​ ​Jasmin​ ​is a powerful, committed, and compassionate speaker​, ​and she can knock the socks​ ​off any crowd." 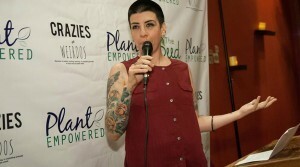 -Aimee Batuski,​ ​PlantEmpowered, NYCI had the privilege of having​ ​Jasmin​ ​speak at a fundraising event I hosted, and she blew everyone in the audience away." "Jasmin was a joy to work with from beginning to end: professional and focused but friendly and easy to accommodate, supportive with promotion on her end and full of exuberance for spreading the vegan message. I can't recommend booking her enough." 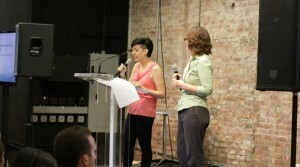 "I had the pleasure of working with Jasmin (as well as Mariann) for a talk as part of my event, Vegan Night Out, in 2013. 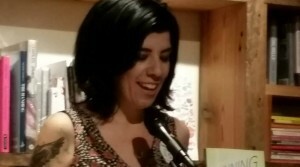 As in all things, Jasmin's wit, sense of humor, and keen ability to play off her audience made the process of organizing the details of her talk as pleasant as the talk itself. Jasmin is a superb speaker, whose warmth, humor, and authenticity makes her an engaging and enlightening person to have before an audience. Her talks were clearly well thought out and managed to convey crucial points about veganism and animal rights in ways that are easily absorbed by anyone listening. 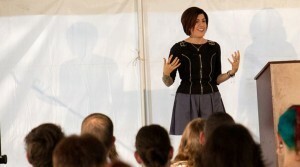 I highly recommend Jasmin as a speaker." Jasmin is currently seeking opportunities for book readings and signings! 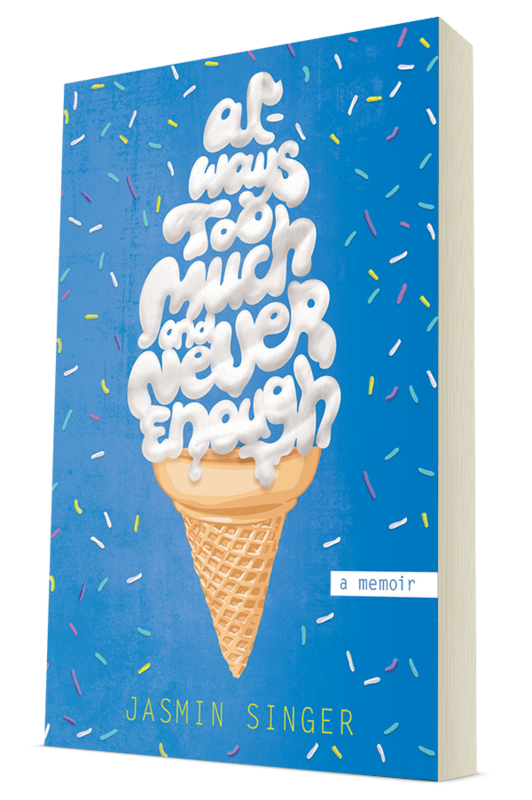 For inquiries about hosting a book event for Always Too Much and Never Enough, please contact her. 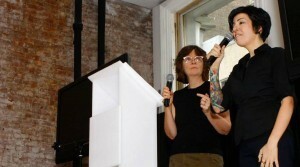 Jasmin, along with her wife — animal law professor, Mariann Sullivan — are also available to give presentations to your community, which be done in conjunction with, or separately from, the book event. Dear Diary, I'm thinking of going vegan but I'm concerned about protein intake, social stigmas, looking too "radical," and whether or not it means I have to start to smell like patchouli. If only someone would find my diary and help answer the questions rattling around in my head... Love, V Jasmin Singer and Mariann Sullivan of Our Hen House will (inappropriately?) read someone's innermost thoughts, concerns, and confusions about veganism and animal rights. Join “the hens” for an engaging workshop full of reflection, entertainment, and conversation. Join Jasmin Singer and Mariann Sullivan, co-founders of Our Hen House (www.ourhenhouse.org), as they guide you through the exciting journey of making transitions toward vegnanism. They will cover everything from the social quandaries (like keeping your cool while handling comments from friends and family); to tips on how to successfully navigate through a not (yet) vegan world (such as how to get a delicious meal at a non-veg restaurant); to some of the actual nuts and bolts of vegan eating (including ideas about transition foods, thoughts on being a “junk food vegan” versus eating in an optimally-healthy way, and further resources that will aid your process). Bring your pens, your questions, and your sense of humor. Be prepared to be enlightened and entertained by the hens of Our Hen House. Most appropriate for: Those who either don’t know anything about what’s happening behind closed doors to animals (with a focus on farmed animals), or those who want to brush on up on their talking points and knowledge-base. Join Jasmin Singer and Mariann Sullivan (www.ourhenhouse.org) as they discuss the nuts and bolts about the horror of what’s being done behind closed doors to animals -- with a focus on farmed animals -- and what is being done to stop animal cruelty. From basic definitions of battery cages, to an animal law professor’s explanation of what laws (if any) are protecting animals (and to what extent), you can consider this dense (but accessible) workshop the primer you’ve always wanted. Most appropriate for: Law students interested in expanding their advocacy to encompass a broader base of animal activism, while using the skills, talents, and social circles they already have. This workshop can easily be tailored for undergraduate students with an interest in animal advocacy. Join the hens of Our Hen House, Jasmin Singer and Mariann Sullivan, for this interactive workshop covering the many ways we can each effectively change the world for animals. Jasmin and Mariann will brainstorm ideas on how each person can make their own unique contribution to building a new world free of animal exploitation, and how each of us can best use our own particular skills, talents and experience in this quest. In this energetic workshop with animal law professor Mariann, and writer Jasmin, ideas for turning thought into action, and action into real change, will be exchanged and discussed. Be prepared to ask questions, brainstorm ideas, and, ultimately, to leave feeling invigorated to change the world for animals. Most appropriate for: Those who want to get further involved in changing the world for animals. This workshop is very well-received by those who are already vegan (or vegan-leaning) and are looking to get involved with animal advocacy in their community. 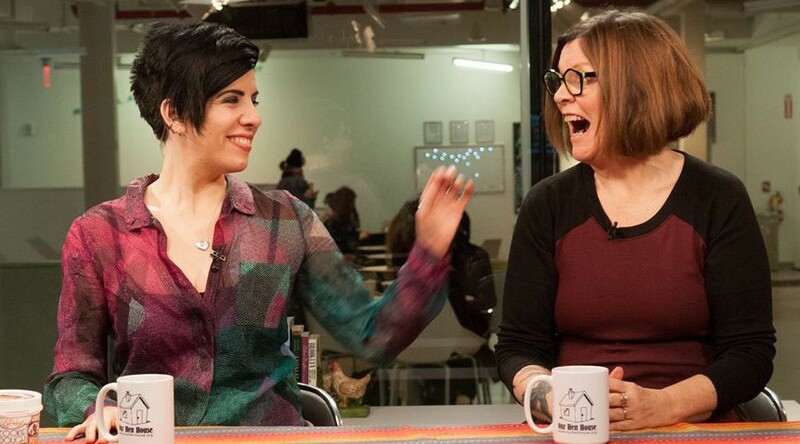 Join Jasmin Singer and Mariann Sullivan (www.ourhenhouse.org) as they discuss the multitude of ways we can each change the world for animals through food activism. Whether it’s baking compassionate cupcakes for your office party, hosting a tofu-dog feed-in on the Fourth of July, or writing a letter to the editor regarding the blatant oversight of veganism in a “green foods” article, there is a way in for each of us when it comes to using food as a political statement and a tool for change. In this workshop, you will leave with the delicious resources necessary to incorporate advocacy into your everyday lives, using little more than an oven mitt. Most appropriate for: Those who want to get further involved in changing the world for animals, using the written word. This workshop is very well-received by those who are already vegan (or vegan-leaning) and are looking to get involved with animal advocacy in their community. Perfect for those who don’t have a lot of time to get involved with community organizing, but only have 15 minutes a day to spend on writing for a greater cause. The written word is a powerful way to influence behavior. In this workshop, learn how to use your communication skills to speak up for animals. Discover new tools to strengthen the effectiveness of your written voice. From articles or op-eds in your local paper; to letters to the editor; to blogging; to personal narrative, the art of the written word is something any activist can tap into. In this presentation, author Jasmin Singer will speak from personal experience in the world of writing – including the use of blogging to create social change. Most importantly, you will leave knowing how to take the first steps in using your written voice to raise awareness and compassion.